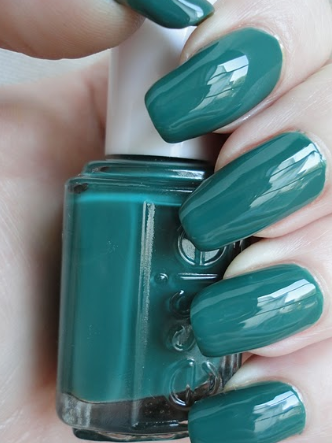 I love this new Essie color from the Winter Collection called ‘Going Icognito’. It’s a creamy tealish jade green that is a pretty good match to Teal Zeal. I think it matches the Teal Zeal Cool Racerback pretty nicely but will also contrast beautifully with Lilac. These are the new Winter colors by Essie available November 1st. "Dog Whisperer Jacket & Fast In Flight Bag"
"New Cool Racerback and Power Y’s"